Peppa Pig is simply squealing with excitement! She’s going to her very first sleepover at Zoe Zebra’s house. As every tot knows, the most important rule of a sleepover is that you must NOT sleep! 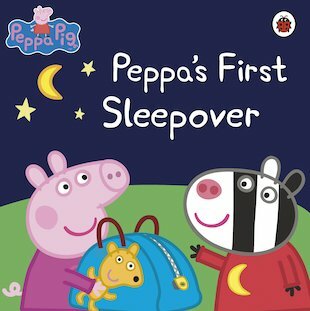 With the help of music, a midnight feast and a scary story, can Peppa and her friends stay awake? Be part of the excitement of a very special sleepover in this adorable Peppa Pig storybook. The Peppa Pig stories bring to life experiences that every child has. They are fantastically written, and can help young children relax in many situations.